Ever want to watch TV sports without the distracting play-by-play from the broadcast booth? Can you imagine just hearing the thump of the ball, the barked commands of coaches & captains, the songs of the fans? It was tried by American football and the Olympics, so why not soccer, or other sports, too? 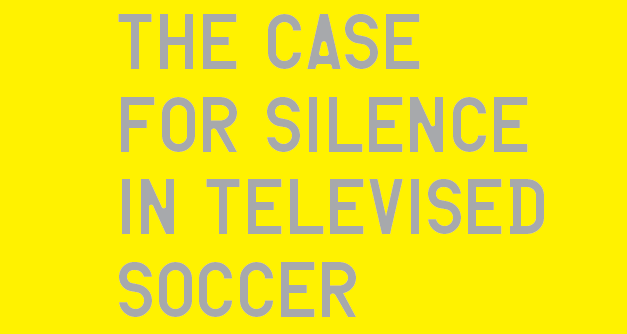 The feature appeared in indie soccer magazine Howler (in glorious print format) --> read it here.